Description JUST REPRICED FROM $19,998, $700 below NADA Retail!, FUEL EFFICIENT 26 MPG Hwy/20 MPG City! CARFAX 1-Owner. 2.4L trim. iPod/MP3 Input, Bluetooth, CD Player, Alloy Wheels, All Wheel Drive, Back-Up Camera. AND MORE! Back-Up Camera, iPod/MP3 Input, Bluetooth, CD Player Rear Spoiler, MP3 Player, All Wheel Drive, Aluminum Wheels, Privacy Glass. "The Santa Fe Sport has an easygoing character, with supple gas pedal movement, light steering and easy-to-modulate brakes." -Edmunds.com. Great Gas Mileage: 26 MPG Hwy. Reduced from $19,998. 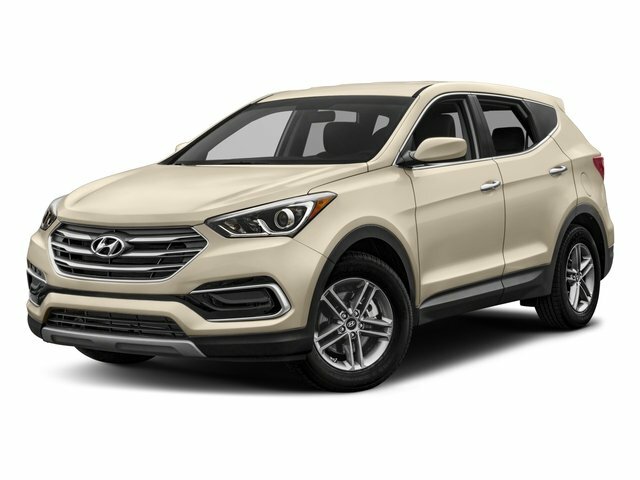 This Santa Fe Sport is priced $700 below NADA Retail. Pricing analysis performed on 4/6/2019. Fuel economy calculations based on original manufacturer data for trim engine configuration. Please confirm the accuracy of the included equipment by calling us prior to purchase.